The newest color scheme for the Vanilla Junior is the Code Blue. 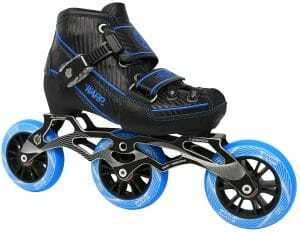 These are very similar to the Code Red skates, but in blue instead of red. They look great and they’re in stock now. We also received some inventory on the other versions of the Junior skates. We still don’t have all sizes and colors in stock, but we are closer than we had been. 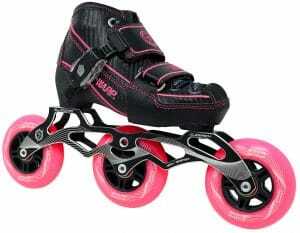 The Warp inline speed skates are also in stock. These are adjustable inlines designed for younger speed skaters. The small size fits 12J-2 and the medium size fits 2-5. 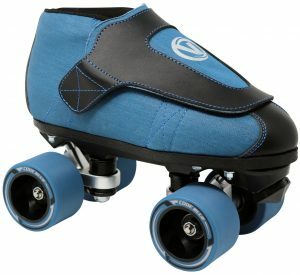 They come in blue or pink and are a great choice for skaters that are wanting to get started in the world of speed skating. We will be exhibiting at the RSA Convention this year (Las Vegas, Apr 30 – May 1). If you’re coming, please take a minute to come by our booth and meet with us in person. We will be at booth number 307.